On November 9, 2016, a great event occurred in the world: in the United States on November 8 (local time), Republican candidate Donald Trump defeated opponent Hillary Clinton to become the 44th President of the United States, in the 2016 presidential election of the United States. 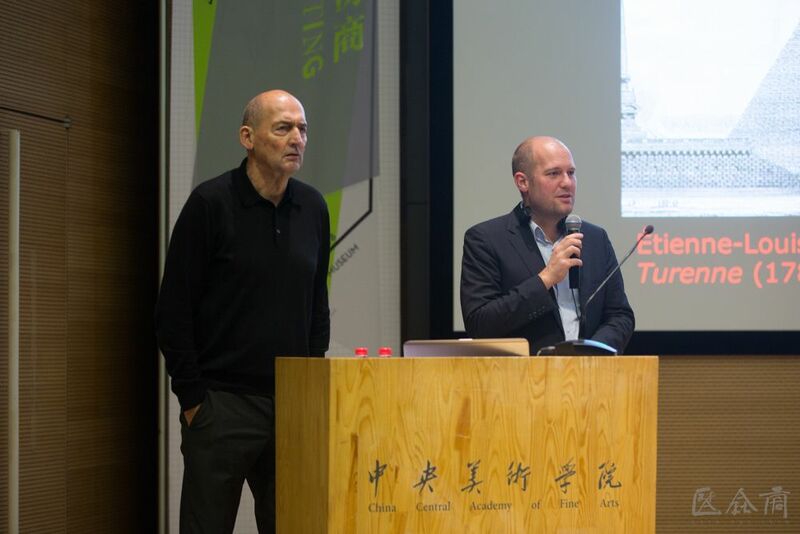 On November 9, 2016, a great event occurred in CAFA: Rem Koolhaas from Harvard University, the United States presented a wonderful speech. Who is Rem Koolhaas? 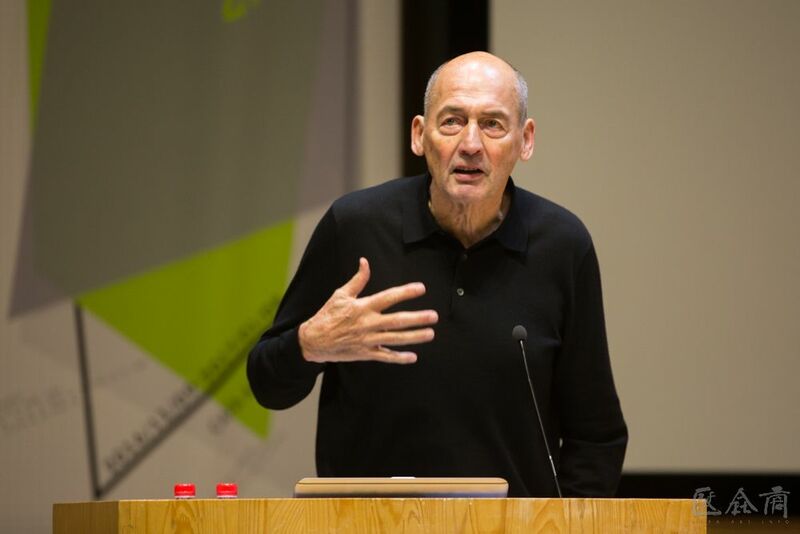 Rem Koolhaas was born in Rotterdam, the Netherlands, in 1944, the Chief Architect of OMA, Professor in Practice of Architecture and Urban Design at the Graduate School of Design at Harvard University. In 2000, Koolhaas won the Pritzker Prize, and he was Director of the 14th Venice Architecture Biennale in 2014. It is the second lecture of this series of academic activities for the CAFAM Biennale “Thinking Space” Pioneer Dialogue – The Countryside. 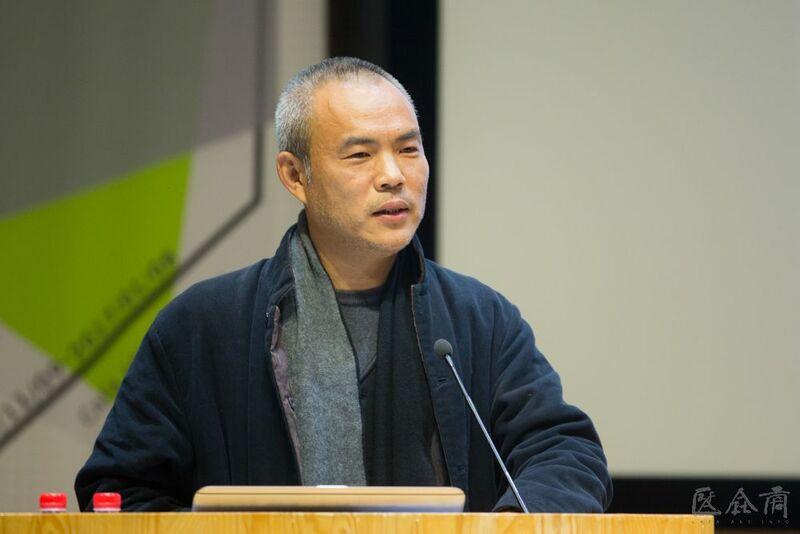 Lv Pinjing, Dean of the School of Architecture at CAFA served as the host. 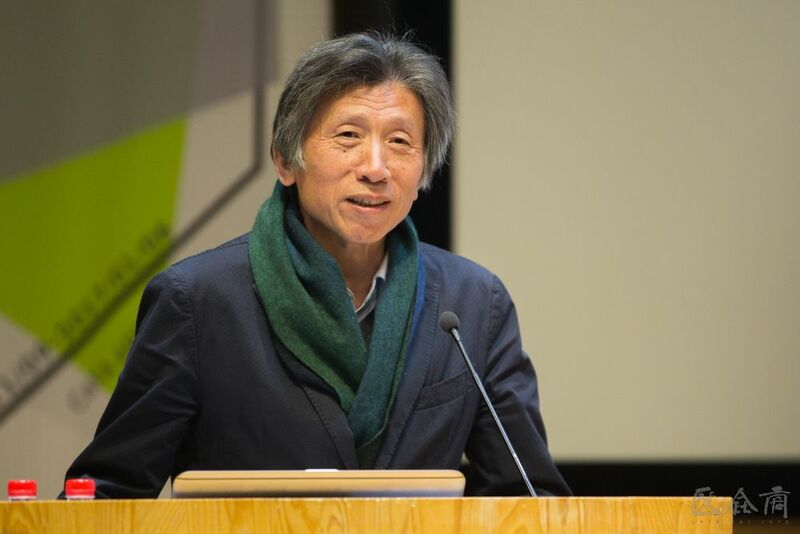 The attendees included President of CAFA Fan Di’an, Director of CAFA Art Museum Wang Huangsheng, the architectural historian Stephan Petermann, leaders of the Academy and the Art Museum, leaders and teachers from the School of Architecture, as well as invited guests from all walks of life. President of CAFA Fan Di’an delivered a speech first. Rem Koolhaas’s career is not limited to the architectural field, but also involves social research and related issues. 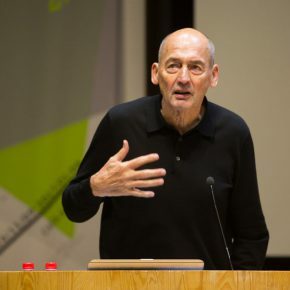 In the mid-1990s, Koolhaas discovered that the real problem of modern architecture was that it lacked the correct understanding of modern development. People did not understand that social development, political change, economic growth and urban status all have an influence on architecture. Thus, in 1995, Koolhaas accepted the invitation of Harvard University to become Professor in Practice of Architecture and Urban Design at the Graduate School of Design at Harvard University and started to research cities. He wanted to undertake an urban project that would understand the changes of the city, and his team collected and compiled urban models. With the high-speed urban changes, the nature of the city is also undergoing fundamental changes, forming completely different types of cities around the world. Koolhaas’s research is not only limited to the city itself, but also has an in-depth study of urban residents and their shopping habits, urban life and other issues. Over the past 20 years, Koolhaas’s main task has been to offer advice to people who would like to simply change a building or city idea, trying to help them reconsider the physical truths of the city and transform their concept of thinking of the city. Rem Koolhaas is also interested in the problem that more and more people have moved into urban areas in the past while the countryside is facing a recession. More than half of the world’s population live in cities, and cities were unpredictable in the past, while the future city will be an intelligent city, becoming an accurate and controllable environment. At the same time, cities account for only 2% of the global areas while 98% of the areas have been neglected. 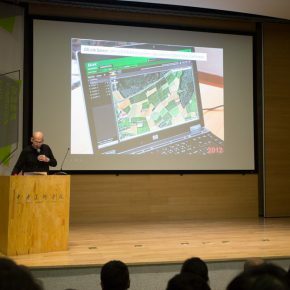 For these two reasons, Koolhaas started to study the rural problems 10 years ago. Koolhaas found that the countryside was like cities undergoing a dramatic transformation and it was happening even faster. Today’s villages are facing a situation that is increasingly empty, while the countryside is also expanding. Koolhaas will study this in coming months and he also hopes to cooperate with CAFA on research into the Chinese countryside. 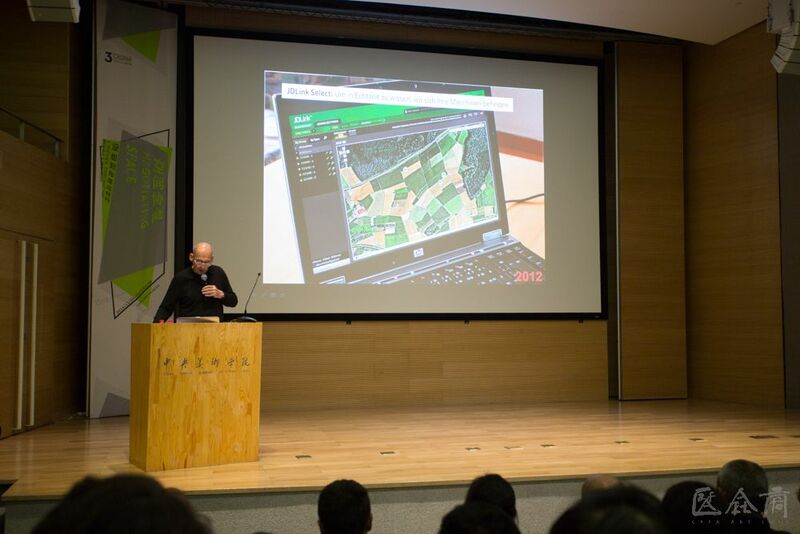 Subsequently, Koolhaas presented several rural research projects which have been conducted by the team. 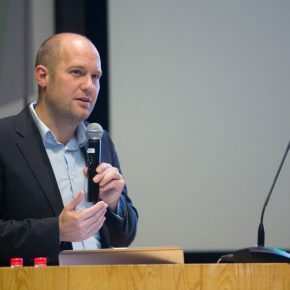 After the speech by Rem Koolhaas, Stephan Petermann gave a short introduction to the project by the Koolhaas team on the future rural research and sincerely invited CAFA to join the research project. It particularly involves the Chinese countryside. 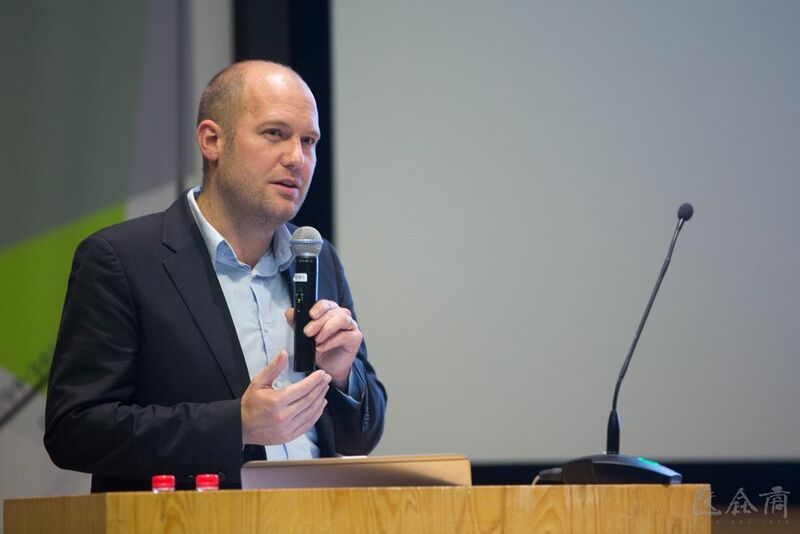 Stephan Petermann studied architecture at the Technische Hoge school Eindhoven from 2001 to 2005, and studied the history of architecture and theory of building protection at Utrecht University from 2001 to 2007 where he received a master’s degree. 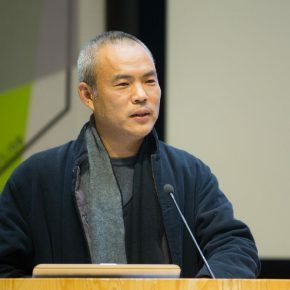 In 2005, he worked for the architectural magazine “VOLUM E”, and joined OMA in 2006 to assist Rem Koolhaas with his lectures, texts and research. 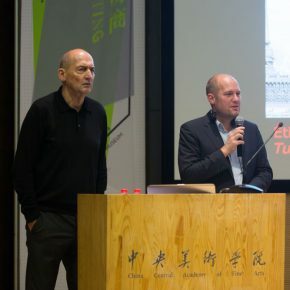 Stephan Petermann assisted Koolhaas in the work of the 2014 Venice Architecture Biennale and was responsible for the study on roofs in the book “Yingzao Fashi”. 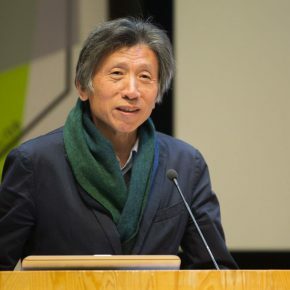 After the end of the lecture, Director of CAFA Art Museum Wang Huangsheng, teacher He Wei from the School of Architecture, CAFA, as well as other members of the audience had a pleasant conversation on their own concerning questions for the two speakers. For the complete version of the lecture, please visit http://v.youku.com/v_show/id_XMTgxNDQ5OTE2NA==.html.